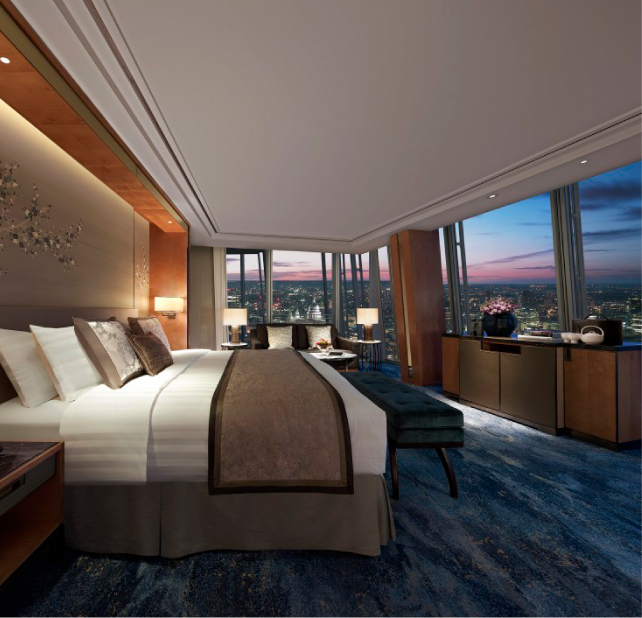 Our brief was to manufacture and supply all of the casegood and fitted furniture for the 202 x guest bedrooms, suites and bathrooms for the hotel, in a contemporary oriental style complimenting the floor to ceiling panoramic views of the city of London. 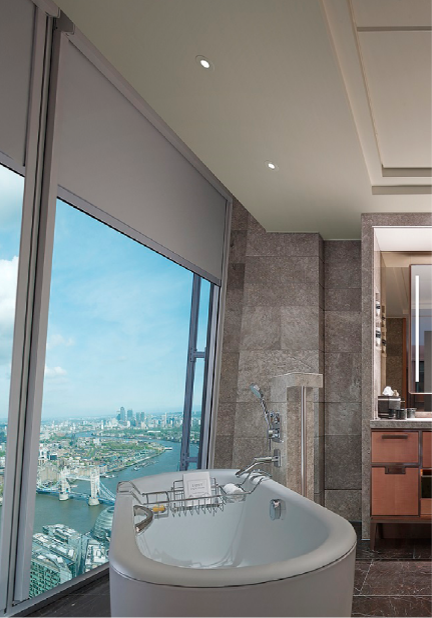 This included all the fitted headboard panels, wardrobes, wall framing and panelling, vanity units, luggage racks, bedroom and bathroom doors and doorframes, skirtings, architraves, and structural column cladding within the rooms, all custom manufactured in our own factories to precise individually surveyed room drawings. Figured sycamore veneers polished to a rich honey colour, embellished with antiqued bronzed metal inlay trims, and faux shagreen upholstered pads were blended with silk wallcoverings, and black marble tops to provide an opulent cutting edge look in the heart of the urban cityscape. As with all of our overseas projects our company took full advantage of our “tried and tested” logistics service which identifies every single item by photo, drawing reference, item description, and cutting sheet number – all designated and logged with military style precision for speed and efficiency of installation on site.